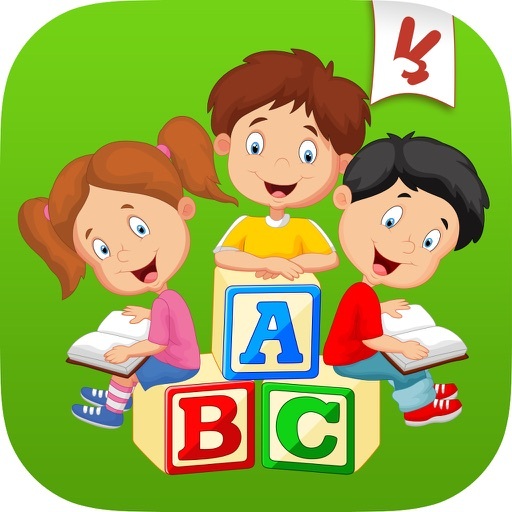 Letters learning for kids, babies and toddlers is a simple and funny educational game for the children and also for the small children. It learns your baby the alphabet and learns english words in the same time. Toddlers will learn letters and recognize animals. 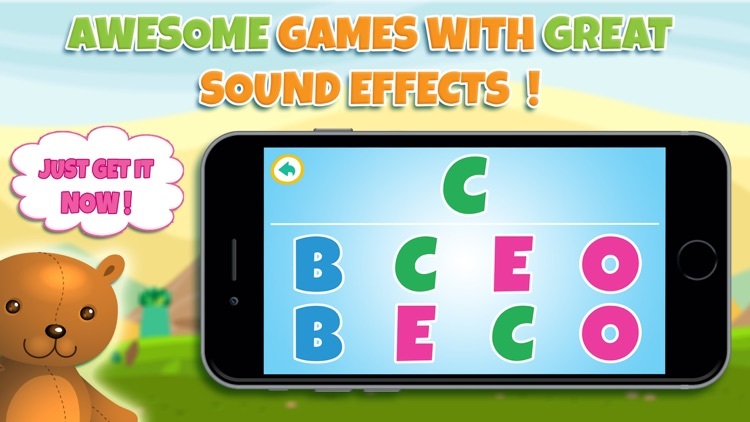 In this game for kids are shown and named different animals like dog, cat, horse and so on. 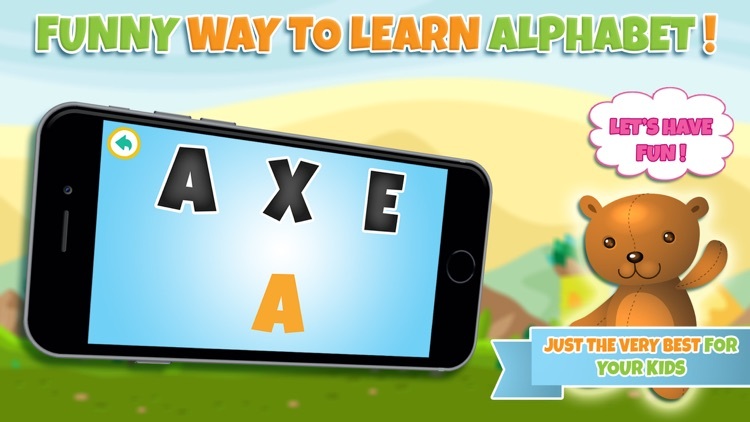 - Learning button of this educational game for kids is for learning letters and alphabet. 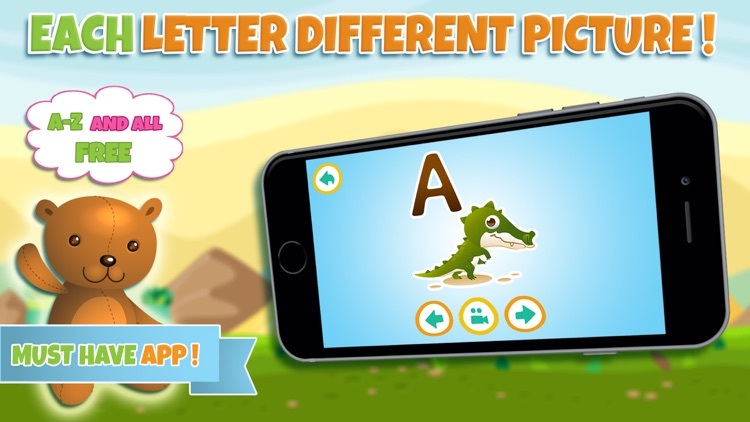 When your kid enter a certain letter, along with an animal will be shown and pronounced. 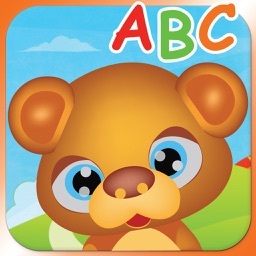 This makes the ABC educational game funny and entertaining. 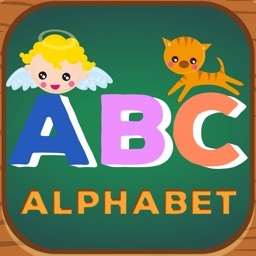 When you click on an animal or letter it will be pronounced with nice girls voice so your kid or toddler will learn english language as well. - ABC Game one is for matching letters. Children have to match the letter to the same one. When your kid will match the letter correctly the letter and animals name will be pronounced. 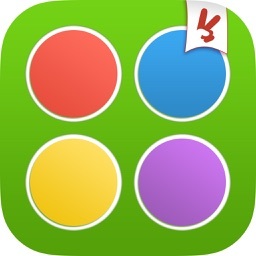 - ABC Game two matches the letters as well but different way. 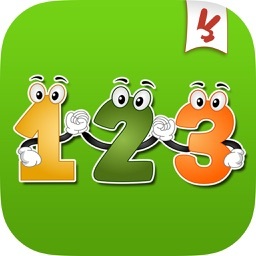 This improves memory, brain and creativity of your child. 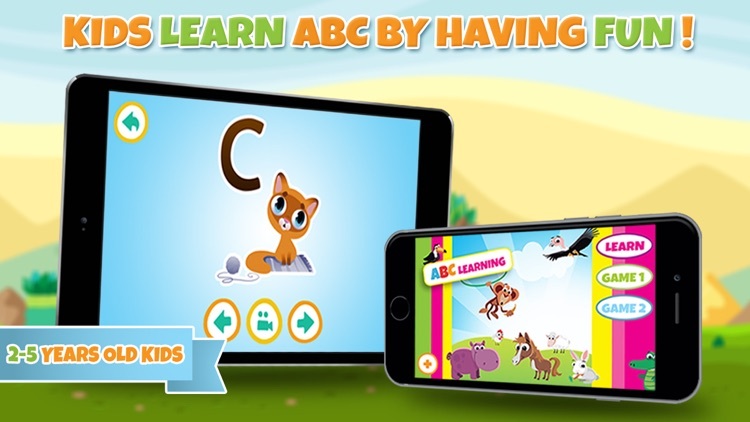 The ABC educational game allows the preschooler to identify and name letters and animals. Your kids are gonna be better in alphabet as well as in english language.